Years 1 & 2 make up St Andrew’s Key Stage 1. 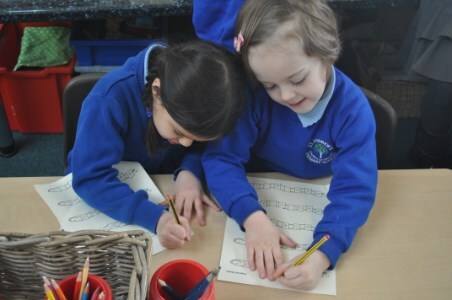 During these 2 years we look to develop firm foundations in reading, writing and maths. We love making things fun and inspiring and we explore our topics, including the Take One Picture project, through storytelling, creative writing and fun with numbers. Highlights of the Key Stage 1 year have included: a river trip to Bradford-on-Avon, a “Make a Hat” day, filming the Tyrannosaurus Trip book by Julia Donaldson, exploring the SS Great Britain and a visiting artist helping us to make dinosaur models. Our Key Stage 1 teachers are Tilly Butter and Maria Foster.